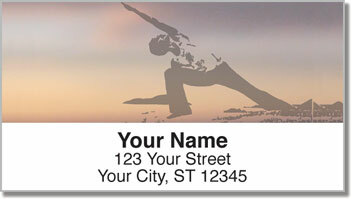 Silhouettes displaying four different yoga poses will remind you of the peace this practice brings. Yoga benefits the mind, body and soul. Many people use it as a way to eliminate stress in their lives. These convenient labels can also alleviate just a bit of the pressures that come from mundane tasks - like writing your return address on dozens of thank you letters. 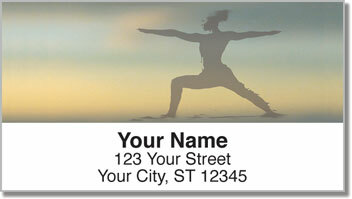 Yoga Address Labels from CheckAdvantage are self-adhesive, leaving a little extra time for the more important aspects of life. 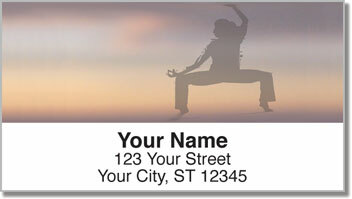 Get your very own Yoga Address Labels today! 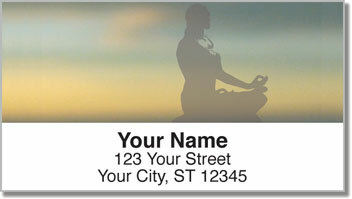 You can also find this serene style in a set of matching personal checks!